I want to add new user accounts that can connect to my Amazon Elastic Compute Cloud (Amazon EC2) Linux instance using SSH. How do I do that? Every Amazon EC2 Linux instance launches with a default system user account with administrative access to the instance. If multiple users require access to the instance, it's a security best practice to use separate accounts for each user. You can expedite these steps by using cloud-init and user data. For more information, see How can I add an additional SSH user account with cloud-init and user data for my EC2 instance? Create a key pair, or use an existing one, for the new user. If you create your own key pair using the command line, follow the recommendations at create-key-pair or New-EC2KeyPair Cmdlet for key type and bit length. 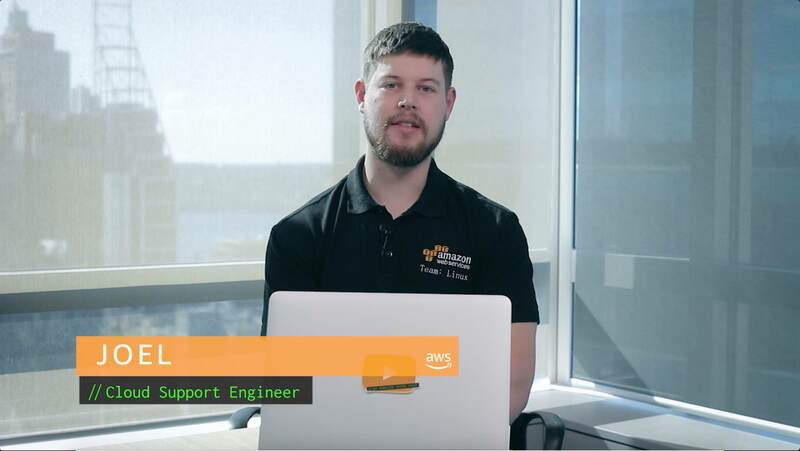 If you create your own key pair using a third-party tool, be sure that your key matches the guidelines at Importing Your Own Public Key to Amazon EC2. 1. Connect to your Linux instance using SSH. Note: When you run the sudo su - new_user command, the name at the top of the command shell prompt changes to reflect the new user account context of your shell session. 5. Use the chmod command to change the .ssh directory's permissions to 700. Changing the permissions restricts access so that only the new_user can read, write, or open the .ssh directory. 7. Use the chmod command to change the .ssh/authorized_keys file permissions to 600. Changing the file permissions restricts read or write access to the new_user. Retrieve the public key for your key pair. Copy the public key, and then use the Linux cat command to paste the public key into the .ssh/authorized keys file for the new user. Follow the steps at Verifying Your Key Pair's Fingerprint after you import your own public key or retrieve the public key for your key pair. 2. Paste the public key into the .ssh/authorized_keys file and then press Enter. Note: For most Linux command-line interfaces, the Ctrl+Shift+V key combination pastes the contents of the clipboard into the command line window. For the PuTTY command-line interface, right-click to paste the contents of the clipboard into the PuTTY command-line window. 3. Press and hold Ctrl+d to exit cat and return to the command line session prompt. To connect to your EC2 Linux instance using SSH from Windows, follow the steps at Connecting to Your Linux Instance from Windows Using PuTTY. 3. Distribute the private key file to your new user.